There is a time of year in Los Angeles (a city not exactly known for its change of seasons) when the mildly warm days of spring give way to the blistering hot days of summer. The days get longer, the whirring sound of central air-conditioners everywhere become a constant hum and the first scent of a neighbor’s grill wafts through the window, signaling the start of grilling season. It’s my favorite time of year! Though admittedly, I don’t limit my love or consumption of grilled food strictly to the summer months. I have long had a sturdy, well-seasoned cast iron grill pan in my kitchen that I use with unapologetic regularity, rain or shine. Sometimes, it’s just more comfortable to grill inside, in the 65° comfort of my own central air-conditioned kitchen, than to be outside sweating over a grill in the heat. The following recipe for Salt Steak however, must be cooked on an outdoor grill, but that’s part of the fun. Glancing over the recipe, you may find it odd, even alarming that I’ve instructed you to use 1½ cups of kosher salt (no, I haven’t lost it completely and it’s not a typo). It is called Salt Steak after all. 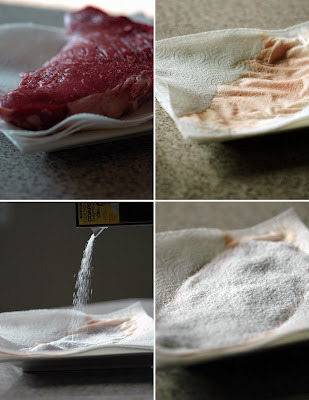 This method of grilling the meat, on a bed of coarse salt placed directly on the paper towels, the whole thing over the flame, doesn’t make the meat taste too salty. 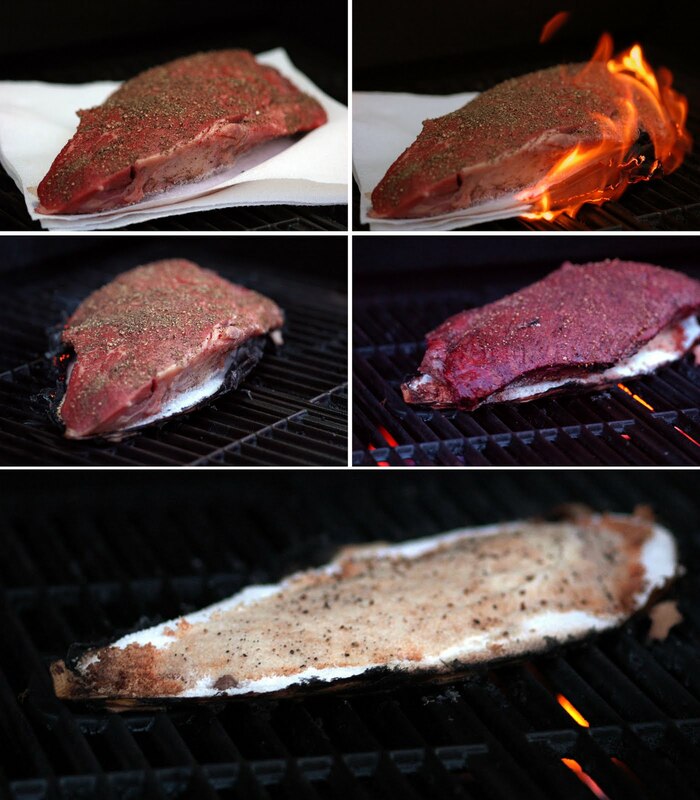 Instead, it keeps the meat incredibly tender and seasons it perfectly. 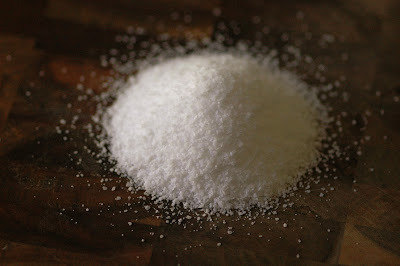 This method is loosely based on a cooking technique used in both Italy and France for cooking chicken and whole fish encased in salt. This recipe calls for London Broil, which is inexpensive, feeds an army and goes on sale all summer long. Interestingly, London Broil is a cooking method, NOT a cut of meat. Contrary to its name, it's virtually unknown in London, England. 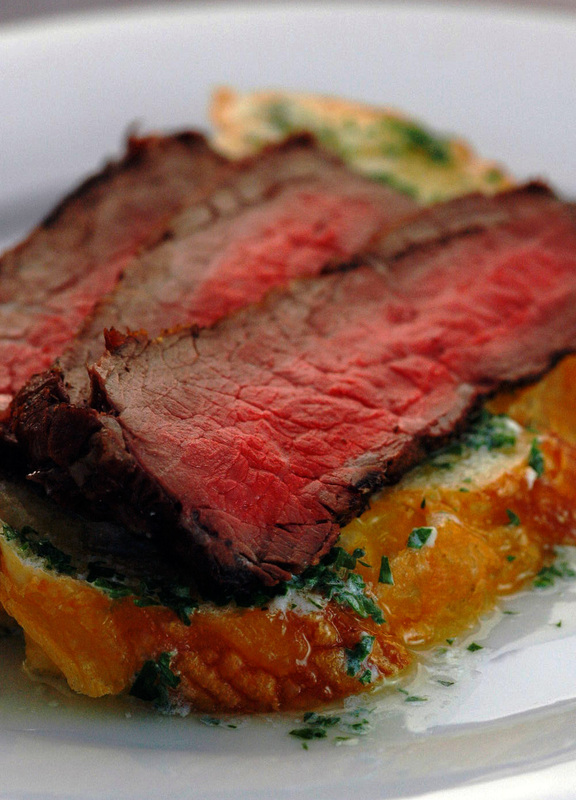 It can be flank steak, but is usually top round roast. 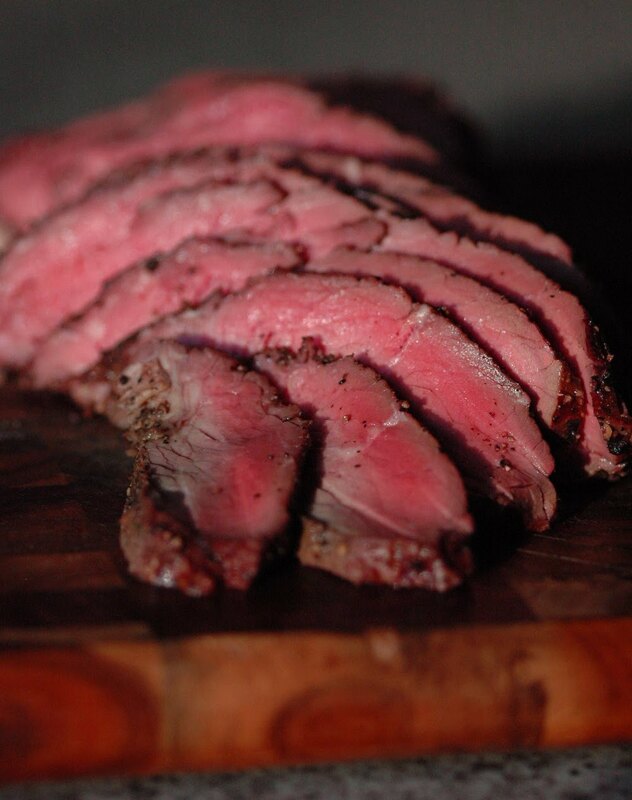 If you’ve never dealt with London Broil before, it’s important to remember a few things: for really tender meat, it needs to be cooked to medium-rare, sliced thin on a 45° angle, and always, always cut across the grain. I have a weakness for big juicy slabs of red meat, all beautifully seared and crusty on the outside, yet tender and pink on the inside. The following is my idea of red meat perfection and was one of my favorite summer meals as a kid. It still is! 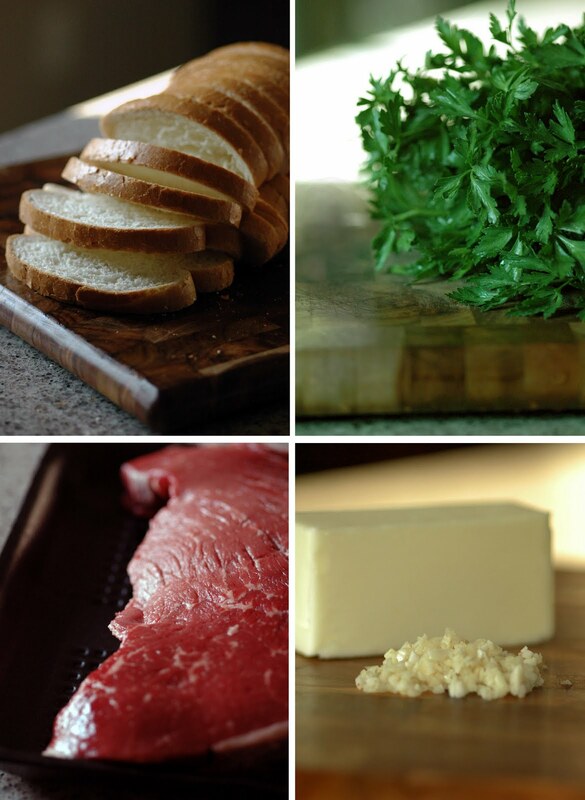 The combination of the thin slices of London Broil, cooked medium-rare and laid over garlic butter-soaked bread is mouthwatering. Paired simply with grilled corn on the cob and mushrooms sautéed in garlic, butter and thyme and you have a fantastic and memorable meal. On a plate, layer 3 white paper towels, one on top of the other, and place the London broil on top of them. Allow the meat to sit for several minutes so the juices soak the towels, leaving behind an impression of the meat. Remove the meat and fill the impression with an even layer of salt, about ½ inch thick. Season the meat generously with plenty of freshly-cracked pepper on both sides and place it on the salt. Lay the whole thing on the grill and - stick with me here - don’t be alarmed when the dry edges of the paper towel catch fire and burn up almost immediately; the soaked portion of towel will be fine. Grill the meat for about 10 to 12 minutes per side turning it once back onto the paper towel. For medium rare, it’s done when an instant read thermometer registers 130° to 135°. Transfer the meat to a cutting board, tent it loosely with foil and allow it to rest for 10 minutes. 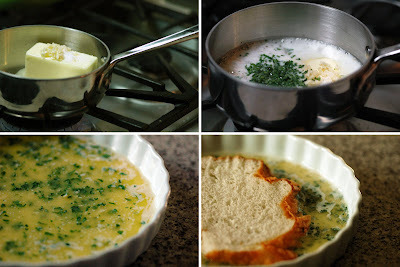 Meanwhile, in a medium saucepan, melt the butter with the garlic and allow the flavors to infuse for a few minutes. Pour the butter into a shallow dish and stir in the chopped parsley. To serve, slice the London Broil diagonally across the grain into thin strips. Quickly dip one side of the bread into the melted garlic butter and place butter side up on the plate. Lay several slices of meat over the bread and dig in greedily.